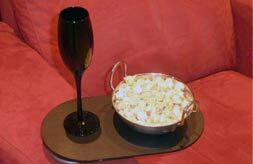 Our FrontRow Seating was created to offer real value for money home cinema seating. 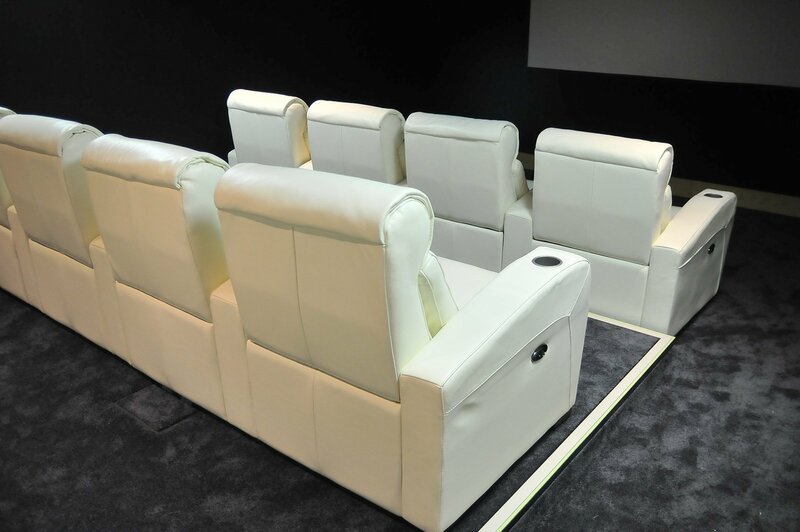 Targeted at those building dedicated home cinema installations, FrontRow Seating researched the existing market and decided on a modular system that allowed customers to build bespoke seamless seating arrangements as well as offering superior comfort and support. 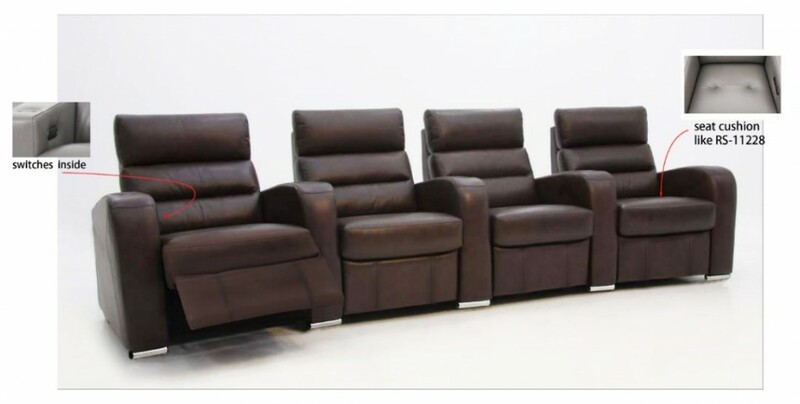 Almost any configuration can be achieved from a single electrically operated recliner to multiple rows to get that true cinematic feel. A Full design service is available on request to ensure that the chosen layout will work in the room. 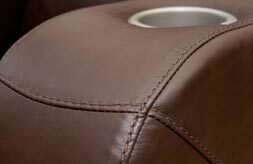 Our FrontRow Seating is ergonomically designed to ensure optimal comfort and support in a Home Cinema. 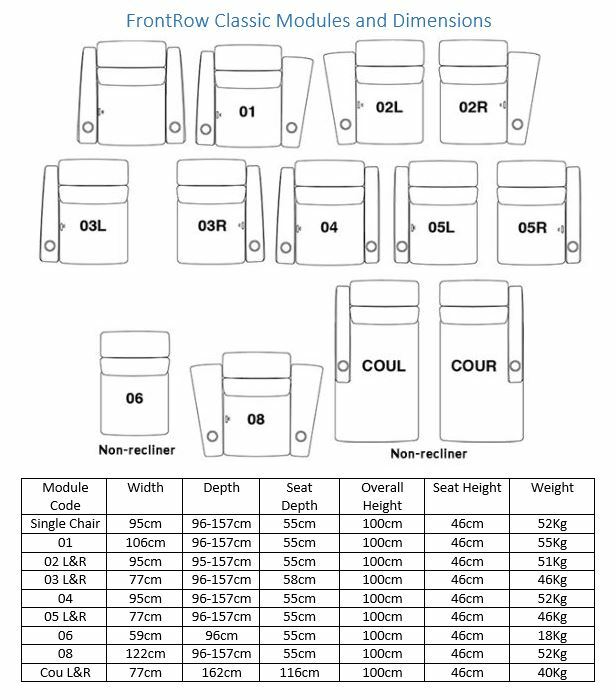 Each chair module is engineered for strength and durability and incorporates high quality seating components and materials. The distinctive sleek modern look of this furniture is a result of the quality design which includes solid wooden feet, rounded top head rest and electric control panel neatly inset into the upholstery. But the design doesn’t stop there…. It’s not often you can say that the back of the chairs look as good as the front. This feature is particularly important when multiple rows are used. 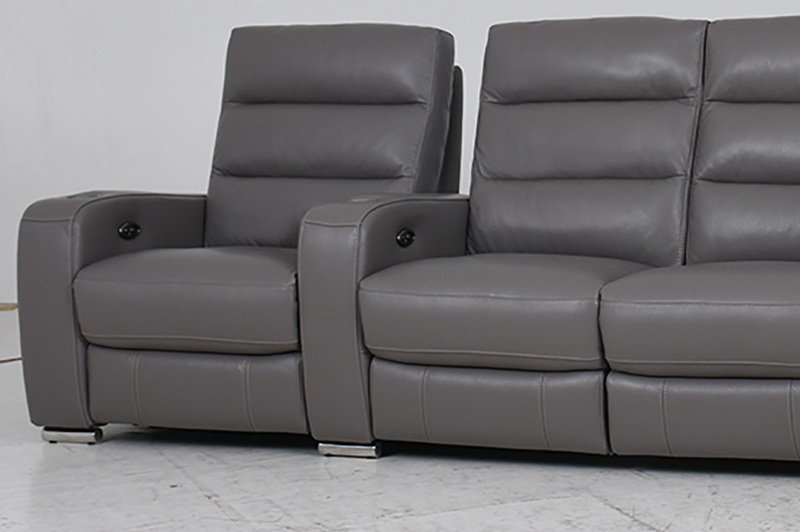 Our FrontRow seating uses a high quality electrical multi-position reclining mechanism which can transport the user from a vertical to a horizontal position at the touch of a button. The reclining action makes it possible to locate the seats close to the wall as the seat moves forward prior to the back of the chair tilting. This feature is ideal where space is at a premium or when the seat would look unsightly being placed away from the wall. Back cushions are filled with spun polyester fibre to maintain shape Top quality finishes are used throughout our FrontRow Seating range All our FrontRow seating is finished in a top quality maintenance free leather, microfibre or the new jumbo cord fabric, which is available in an extensive range of colours to ensure it integrates into any décor. 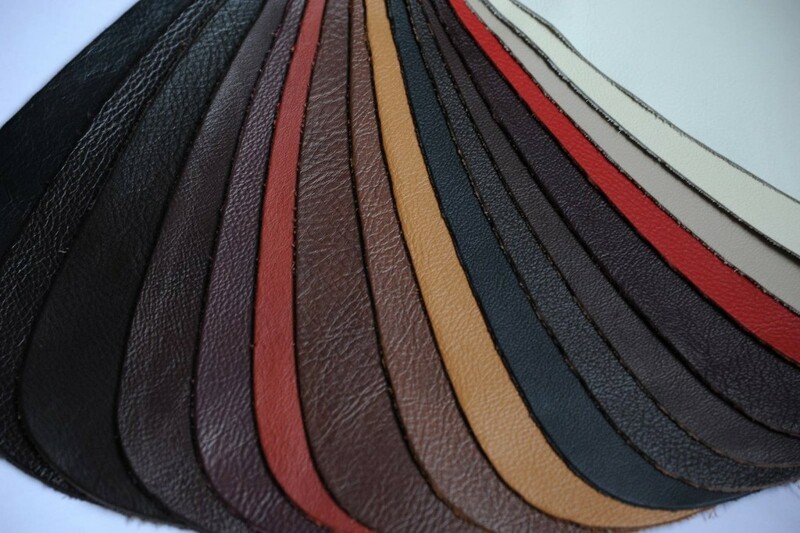 All the leathers used in our FrontRow seating are dyed throughout (unlike some cheaper alternatives that are surface sprayed). This limits scratch marks should this happen. Made from the finest raw materials, premium leathers are put through a series of rigorous tests that ensure optimal performance and the perfect finishing touch. What’s more, they come in a wide variety of colours and textures to suit your unique taste and lifestyle.